This is a super exciting improvement in user experience that doesn’t force site owners to make a painful choice between the classic and modern web parts. To learn more about the current Yammer web part dilemma, check out Sarah Haase’s recent blog post about the trade-offs between the two current options. I’m really happy to see this choice finally go away! One of my favorite announcements today is the ability to roll up event content from any site in a hub. Almost every one of my clients has asked for this capability. I’m absolutely doing the happy dance for this simple but important announcement! My head is already exploding with all the great new capabilities for intranets that were announced on just the first day of Ignite – and there is more to come later this week! For a complete list of the Day 1 announcements, read Jeff Teper’s blog post. 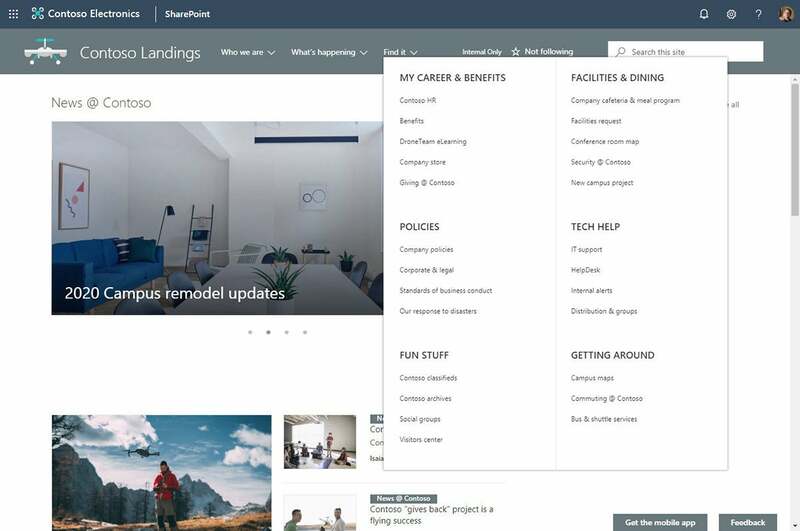 For some great resources to help build your modern intranet, visit Build your modern intranet on SharePoint in Office 365.